What's the use in havin' it, if you ain't gonna shake it!? Head down to Houston Gym and get the workout of your life while having a great time. 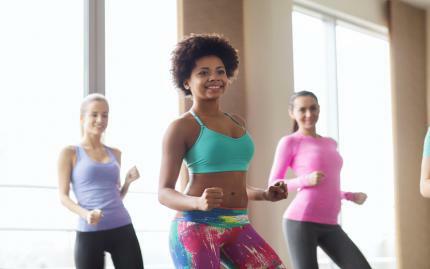 Zumba is an adrenaline-pumping dance-aerobics class set to the hottest Latin club beats -- so you'll get in great shape while listening to fantastic music. What could be better? With the help of your expert instructor, you'll tone your body, producing chiseled arms and legs, a firm core, and the sort of lean frame you've always wanted. You'll walk out of there feeling AND looking great!